I had two people this week send me something in regards to the Bible. One of them was this fabulous illustrated kids map for areas in the Old Testament, but it is under copyright, so sadly I do not think it would be the most responsible thing to post here. Her reflection (if I understood correctly) was on what seemed like the years she had lost by not studying Scripture earlier in life. But she was comforted by another who shared this verse with her. God can do great things to restore in us what has been lost. Whether it has come due to his discipline or judgment in our lives or some missed opportunity due to our poor choices, God can use even the damaged experiences of this world and work through them to bring about something glorifying to his name. As I mentioned last week in talking about 1 Peter, we ought to be able to give a reason for the hope that we have in Christ. If what we believe is important, we should be able to tell others about it. We should know the gospel. We talked about this in a class recently and at one point I put together a review of most of the weeks. It served as a reminder to jog our memories, but it will also work as a good cheat sheet in learning some short, clear descriptions of what Jesus has done for us. Here’s a quick summary of what is included on the attached PDF. We talked about how Christ is our sacrificial lamb (1) and our passover (2). He brings life to us, undoing the death brought about by Adam (3). While evil was done to him, like Joseph, he worked in the situation to bring life to us (4). Then lastly, in reference to Moses lifting up a bronze snake that brought healing for all who looked on it, Jesus gives eternal life for all who look upon him (5). Each of these has a picture to help us remember. Some are more straightforward, like a sheep in the bushes reminding us of Abraham and Isaac. Others are more of the “you had to be there” variety. But again, let me summarize quickly. We have a picture of the door with the blood placed on it as passover, then next to it the cross laid over it, showing the blood of Christ that now saves us. The third picture is to represent how in Adam, his sin at the tree brought death to all. Then in Christ, the “Second Adam”, which you read through from left to right, but this time include the two items inserted with a carrot, went to the tree (the cross) and died for us, bring life to us. The fourth picture represent how Joseph and Jesus both left their father’s house, suffered injustice, were thrown into a pit (the grave in Jesus case), but then through those events saved others (life preserver). Lastly we have the snake that brought death, then the bronze snake that when looked upon brought life, just as our sin (missing the mark) brings death, but looking to Christ brings us eternal life. Hope this helps. If you still are left scratching your head about these, let me know and maybe I can help. Amos is a prophet against the people of Israel and he begins his prophecy with oracles of judgment. He describes the horrible sins of Israel’s foreign neighbors and slowly brings the target closer to home.  He begins far off, moves to nearby neighbors, then to Judah, and finally he pulls all the punches and ends with the eighth oracle: judgment on Israel itself. Israel has oppressed the poor, given themselves to pagan practices, exploited others financially, and not respected those who have taken special vows for God. Their sins are made worse for unlike the other foreign nations, they should know better since they know God. “I will plant them on their land, and they shall never again be uprooted out of the land that I have given them,” says the LORD your God. 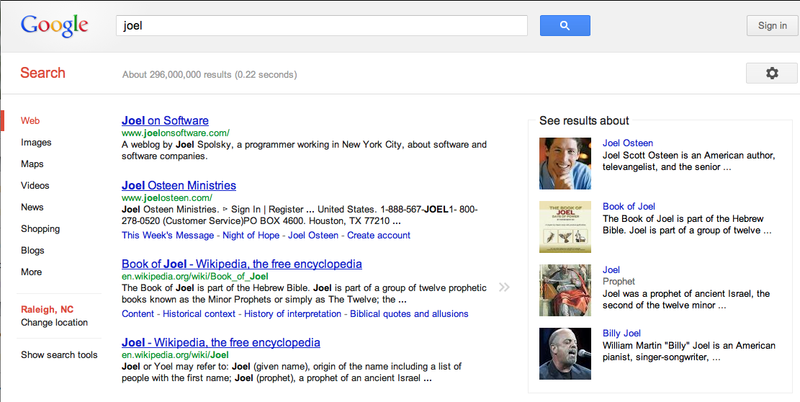 I’m sad Google ranked Joel Osteen higher than the prophet Joel. Like other Minor Prophets, Joel is a book calling for repentance. Just because he is writing to God’s chosen people does not mean that they will necessariliy be spared from judgment. They have sinned against God and have been unfaithful to him. Joel preaches that their restoration will come once they turn from sin, and turn to God. It’s not always a great job to be a prophet. Joel (and others) have to deliver messages against their people. They are messengers of bad news. They announce the sin of their peers. This is a quick way to make enemies, then and now. But their message is not a despairing one. Look for the words of hope that are held out for God’s people. In the end, despite their lack of faith, God will renew them and will make his residence among us once more (Joel 3:17). This is an utterly simple command of Peter, and one I think we take for granted. In many areas of life we assume we know what is needed. We assume we’ve got something under control or that we know “how to take it from here.” But when we finally are out in the position to reveal what we know, to put our learning into practice and take off the training wheels, only then do we realize our deficiencies. I almost know the lyrics to countless songs. Pop songs and hymns, bubble gum oldies and classic rock, contemporary Christian and country. I know them when I sing along. I do not know the lyrics well enough to sing on my own, which is embarrassingly revealed as I stumble through half-remembered lines when I’m singing around the house. I overestimate my knowledge and it an example of the behavior that leads us to think we know, really know, more than we do. Getting back to Peter’s call to us, we all can pick answers about our faith if it were a multiple choice quiz. But if we are asked about the hope that we have, can we give a response? Can we clearly communicate the gospel of Jesus Christ? Can we do so on the spot, without help (except by the Spirit)? I hope reading though God’s Word helps you prepare yourself. Peter tells us in plain language to be prepared, so what is stopping us? This story of Jesus Christ is the good news for the world and our only hope. If we don’t share his story, who will? It is not only beneficial for the hearer, but when we know more about the hope we have, it will only strengthen our own belief, too. If you’re interested in working on your ability to communicate the gospel, let me know. I’ll always make time for that. I even have some resources from a recent class that has some visuals to help us learn, remember, and communicate Jesus that I’m happy to pass along. I’ll try to remember once I get back in town to post some to our site.